Registration begins September 2016 at the Santa Monica Conservatory of music and will be followed by orientation for parents and students on October 1st, 2016 at 10:00am. Students should bring their instruments. Saturdays 10:00-11:00am, September to mid-May 2017. To participate, students should pre-register and pay a $600 tuition fee. This fee is reduced to $450 for students taking private lessons at the conservatory. to receive more information or to secure your child’s spot in the program. With roots from both the Midwest and the San Francisco Bay area, Matthew Purpura has had music in his life since he can remember. With his mother being a classical oboist, Matthew was exposed to music from a young age. His first instrument was flute, and then made the transition to guitar at age twelve. In 2006 Matthew made the move down to Southern California where he was part of the esteemed Applied Music Program at Santa Monica College. He then attended the USC Thornton School of Music (’11) where he was fortunate enough to study a wide range of musical genres from classical to popular music. In his time at USC Matthew studied under Tim Kobza, Steve Travto, Adam Del Monte, Russ Ferrante, Edwin Livingston, and many other great artists. 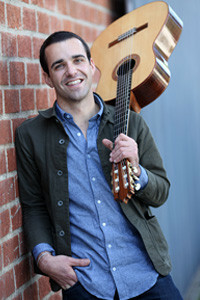 He is the winner of the 2011 Thornton Outreach Ensemble Competition, and currently spends his time teaching and performing in the Los Angeles area. His other interests include long distance cycling trips, surfing, and Mandarin Chinese.